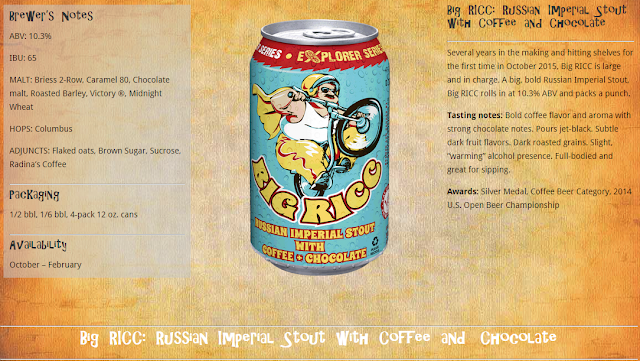 Tallgrass Brewing recently sent me a few beers including the first in their new Explorer Series. Their recent expansion has allowed them go beyond just brewing their core beers. Today I'm checking out their first Explorer Series beer, Big RICC, a Russian Imperial Stout brewed with Coffee and Chocolate. I know that three other beers in the series are still being barrel aged, so stay tuned for those as well. 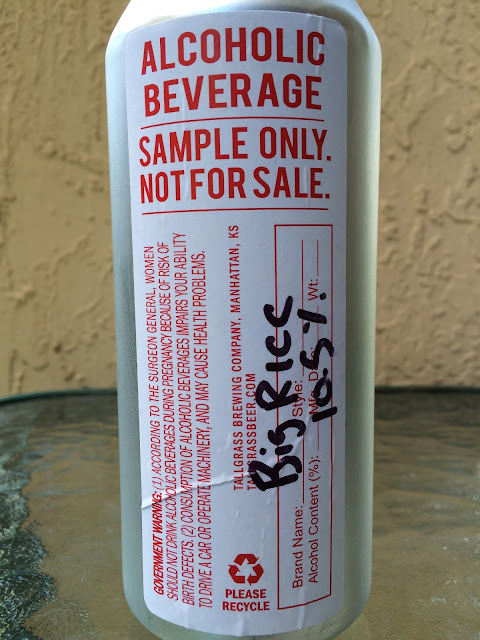 This beer is so new that I was sent a pounder can with just an identifying sticker on it, so I'll be stealing a screenshot from their website to show you. Considering it's 10.5% alcohol, I think the brewery made a good decision moving to 12 oz cans for this beer! The can art is cool as usual - Big RICC himself looks like he may have some bicycling super stunt in the local circus performance. Excellent rich chocolate aroma with hints of coffee and sweet bourbon. I'm not sure if this particular beer was barrel aged or not. The aroma, though I did mention bourbon, in addition to the flavor profile, only offers very subtle alcohol notes. 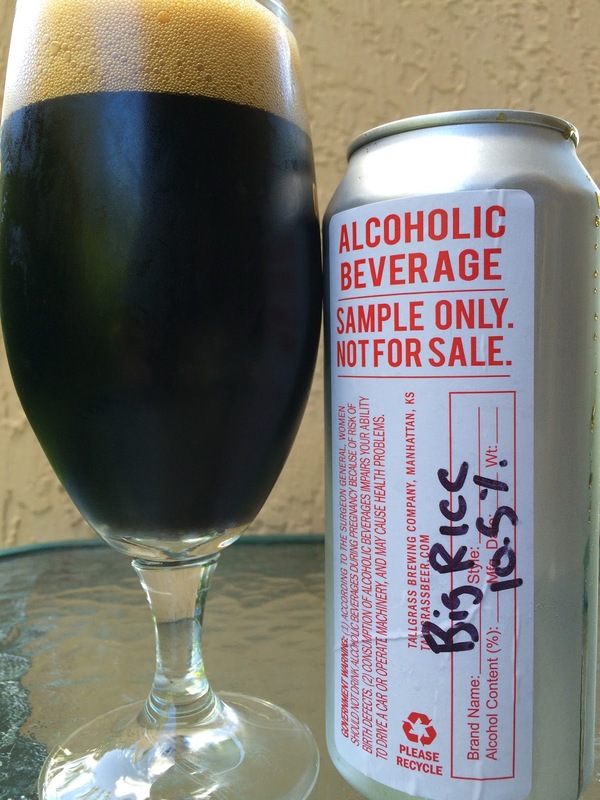 Basically, Big RICC does not suffer that boozy alcoholic messiness like many barrel aged stouts do. So if it was aged, I bet the aging was short and obviously expertly done. Rich chocolate flavors coat the palate in the beginning. Sweet in the beginning is cut up by some roasted coffee and a touch of warming alcohol. Most of the other flavors are subtle yet distinct and noticeable, working in perfect harmony with each other. Caramel, vanilla, plums and even some orange citrus make for a very complex beer. Body is rich, texture is creamy. The beer is slightly sweet but just perfect. A lot going on in harmony and a terrific introduction to this new series. Grab yourself a 4-pack of this beer!